Using a couple of SearchWP’s hooks you can easily incorporate your Variable Product SKUs into SearchWP searches. The last (important) step is to rebuild your index. This needs to be done because all of your Products have already been indexed without the first snippet also indexing the Product Variation SKUs. 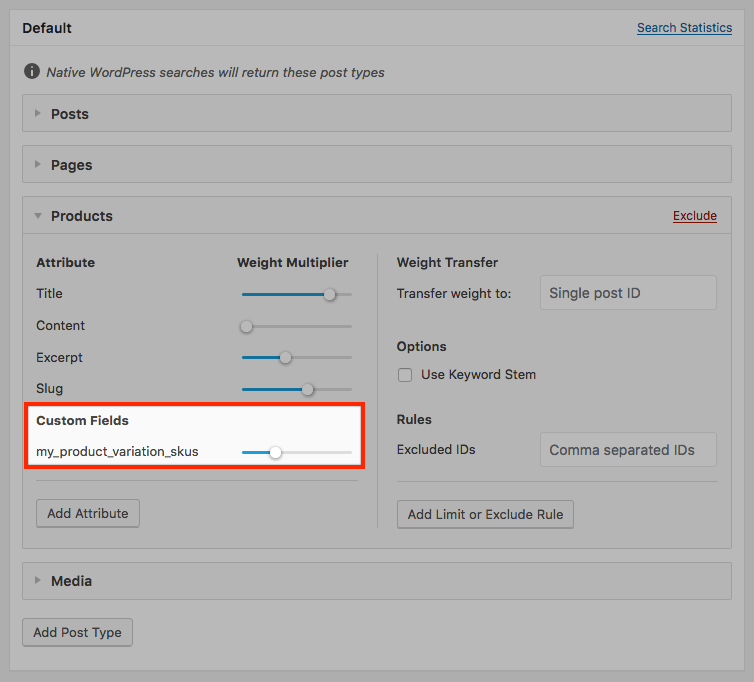 Once the index has been rebuilt and your settings saved with the my_product_variation_skus Custom Field, WooCommerce Variable Product SKUs will be included in search results.